We talk about it a lot … the neighborly connections made possible through the TaskRabbit community, and we just love seeing these friendly connections in the making. 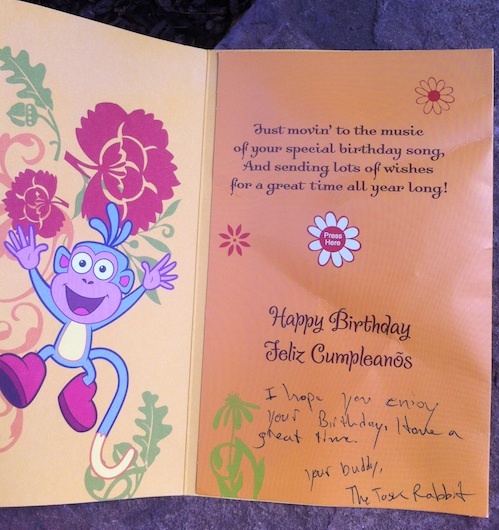 That’s why our hearts were warmed this weekend when TaskRabbit Justin D. remembered the birthday (the big 4!) of Lizzy, the daughter of Brian L., a San Francisco TaskPoster (and our VP of Engineering).